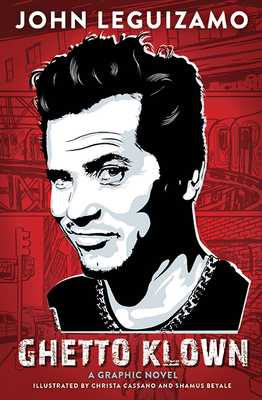 I am in love with Ghetto Klown, John Leguizamo's graphic (in both senses) memoir of growing up, acting, and, gradually, learning how to create his own kind of theater. His artistic collaborators for this Eisner-nominated work, Crista Cassano and Shamus Beyale, do an amazing job of getting Leguizamo's kinetic persona across, and contribute their own share of visual comedy. If you love New York City, the art of the one-person show, crazy personal stories—or just have a soft spot for Johnny Legs—this is the book for you. John Leguizamo’s 30-year career in show business has included turns in movies such as Chef, Ride Along, Romeo + Juliet, Moulin Rouge!, and Carlito’s Way and onstage in five award-winning one-man shows. Christa Cassano is a Brooklyn-based artist and member of Hang Dai Studios in Gowanus.